CyberSurge has moved. Well, not exactly, but I will no longer be spending my time writing here. Instead, I’ll be focusing my efforts on my new web site: mickerlodeon.com. I will continue to write there indefinitely. This site will continue to operate, all of the archive posts and comments will remain but if something unexpectedly breaks through either a WordPress or plugin upgrade, it won’t be high on my list of priorities. The feed for this site will continue to operate and will be populated by new content from mickerlodeon.com but again, if something breaks don’t expect it to be fixed immediately. Although you don’t have to subscribe to the new feed (http://mickerlodeon.com/feed/) I suggest you do so. I’ve enjoyed my time writing here but it is time to move on to better things. 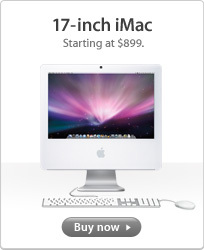 As you can see the “new” 17″ iMac that was talked about yesterday is actually the old 17″ iMac. 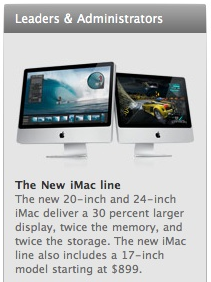 You see, Apple has been offering this iMac ever since it was released but since it was discontinued to the general public it has only been available to educational institutions buying in bulk. Unfortunately I, along with many other websites that cover Apple news misreported the information from the newsletter as a leak. Obviously it wasn’t a leak and in the future I will do my best to recheck reports from other websites. Engadget Mobile has discovered a screen in iPhone firmware 3.0 labeled “Publish Video.” Engadget Mobile dismisses this as an interesting typo but AppleInisder has heard from an “extremely reliable source” that the next hardware revision of the iPhone will feature video recording capabilities. 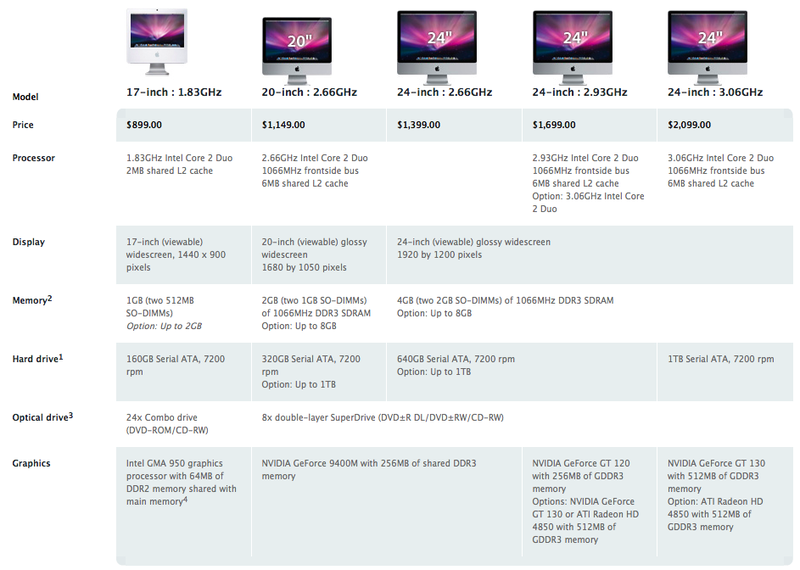 These of course are all still rumors but both AppleInsider and Engadget Mobile seem reliable enough to me. Video recording is (to me) the last feature left before there is no need to take any other devices with me. I would still like a better camera in the iPhone but it is still good enough. Apple has consistently improved the iPhone since its initial release and it amazes me that it has taken this long before a cell phone company actually appeared to care about their products user experience. USB tethering, Publish Video and Find my iPhone found in OS 3.0. 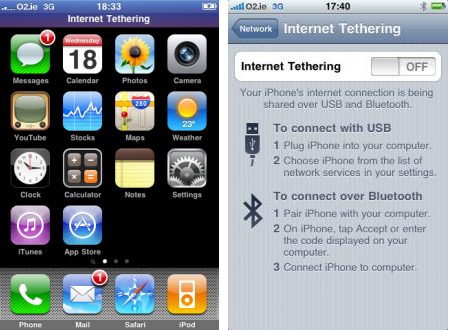 A developer has found that the iPhone 3.0 beta released to ADC developers earlier this week has tethering built in. Clearly Apple would like to unlock it but there is undoubtedly some carrier agreements that will need to be worked out. Obviously this feature would require a monthly fee paid to the carrier but I’m not sure how it would be unlocked. For example, if my iPhone has some trouble and needs a full restore, how would I go about reactivating tethering on my phone? Would I have to call AT&T and have them reactivate it or would it just automatically get unlocked? These are questions that probably won’t be answered until Apple or AT&T makes an announcement regarding it, but they’re things that we should be thinking about. There is a general consensus amongst many journalists that cover Apple products that tethering will cost another $30 or so. I sure hope not, I would love to use tethering but $30 is simply too expensive, it is much cheaper than buying a 3G card for your laptop but it is still too expensive. Tethering currently works over USB and Bluetooth, there isn’t an option to make it work over Wifi. Going over Wifi would be ideal because you wouldn’t have to have your iPhone physically tethered to your notebook and you would (in theory) be able to get much faster speeds than you do with Bluetooth. More iPhone 3.0 features: Tethering and Find my iPhone | 9 to 5 Mac. Developers will be allowed to create turn-by-turn GPS apps. Push Notifications are actually coming. Search throughout most of the OS. 30 million iPod Touch and iPhone. That’s a lot of devices. 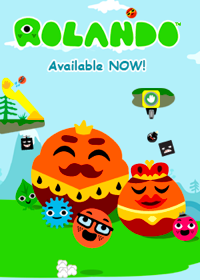 In app purchases sounds like a great way to spend a lot of money frivolously. Only allowing for pay apps to use in app purchases is incredibly smart. I wonder what happens if I uninstall an app that I have purchases content for. Will I be able to redownload that content for free? Peer to Peer is a wonderful solution to the impossible to solve problem of playing multiplayer games while in the car or somewhere without Wifi. Developers are now allowed to access accessories through the dock connector. It seems Apple has been listening. Push notifications are actually coming, they had to be rearchitected, I don’t know why they didn’t expect so many people to be interested in it. The Sims looks great, but what happened to Need for Speed? Shouldn’t that be done by now? ESPN used their familiar sound effect for their notifications, I’m getting more excited about Push Notifications as the minutes go on. Not surprisingly there has been no mention of EDGE when talking about the video streaming features. I wonder if they can scale the video down to the point where it streams nicely over EDGE (I doubt it). I’m very worried that developers will go in app purchase crazy. 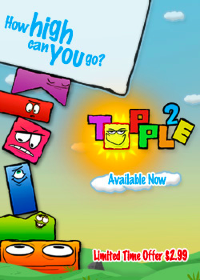 A $5 app should cost $5, not $5 plus $1 every time you want to play another couple of levels. Copy and Paste looks easy enough to use but I’m worred about how the double tap to zoom will interact with the double tap to copy/paste, it could get confusing. Also, I don’t see a cancel button, is there a way to? I hate the landscape keyboard, and I will only be more frustrated by the accelerometer activating when I’m laying down and using my iPhone. Advancements in the messaging app are going to be very well recieved. MMS has been needed since day one and it is amazing that it has taken this long. Voice Memos will be just another icon on my homescreen that I wish could go away. Does anybody actually use the stocks app? 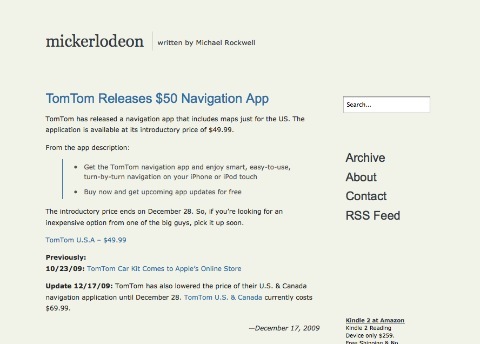 Search coming to Mail (thank you), iPod, Notes, and a new Spotlight homepage, to the left of other homepages, it is a universal search. I may never use this, but it looks cool, and demos real well. Notes syncing, I’ve been waiting for this for a long time, I was hoping for this more than copy and paste, now all those Notes on my iPhone aren’t going to be sitting in a black hole. Stereo Bluetooth, for those who use it. Auto-fill coming to Safari, no more typing in those long passwords. parade rain, MMS and stereo bluetooth won’t be coming to the original iPhone. 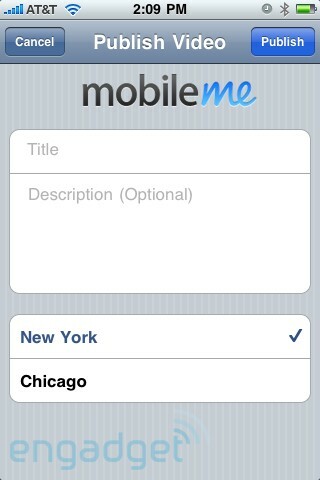 Free upgrade for iPhone owers, $10 for iPod Touch. Should Apple Add Device Tutorials to iTunes? Apple’s devices are getting more and more complicated and as the user interfaces for those gadgets gets more and more simple there comes a time where Apple needs to really start letting their customers know how to use their devices. The new iPod Shuffle doesn’t have any buttons on it and the buttons ont the headphones aren’t as intuative as many would like them to be. That means that anyone who uses the new Shuffle has to read the instruction manual, but a lot of people don’t like to read, it would be nice if I could just plug it into my computer and get a nice little tutorial showing me how to use the device. Apple is already making the guided tours it would be nice if they could make it a little bit easier for new owners to see these videos. What I’m proposing is for Apple to include their guided tours in iTunes so that when you connect an iPod or iPhone to your computer for the first time iTunes asks if you want to watch the video for that device. Not only would this help new users learn how to use their device but it could also teach 3 or 4 time owners of iPods a coouple of tricks that they didn’t know about. Apple is doing something very similar to this with the latest version of GarageBand, where users can purchase videos teaching them how to play instruments. 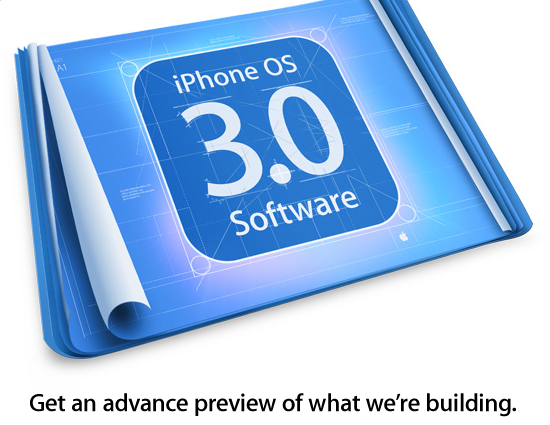 This proposal isn’t a rumor or even speculation it is more of a suggestion to Apple. How does Apple expect iPhone owners to figure out how to copy and paste (if it is implimented the way Kevin Rose suggests it will be), let alone just trying to explain to them the difference between double tapping, tap and hold, or double tap and hold. The actually user interface is getting a little more complicated (because of its open endedness) and it would be nice if Apple would help out their customers by puting their guided tours where they need to be, in iTunes. Wired is reviving rumors from late January regarding a premium section in Apple’s App Store. The premium section would allow hand picked developers to sell games and other more sophisticated apps for $20 or more without being lost in the crowd of free and $0.99 apps. We’re hearing rumors that Apple could introduce a “premium” section in the store, in order to sell more expensive third-party programs. The premium section would largely be focused on games, giving game makers a channel to offer more in-depth (and pricier) titles without getting lost in the clutter of free and $1 apps. Of course Wired was unable to get any large 3rd party developers or Apple to comment on the story. 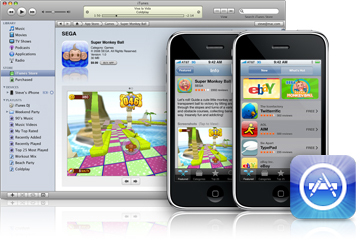 Although many developers have been able to make a substantial amount of money selling apps in the App Store there still haven’t been any large scale development done for the iPhone. The premium section would allow a large 3rd party developer to put more resources behind an app and still be able to actually make their money back by selling more than just a few copies. The original rumor from late January caused many to speculate a June release date (at WWDC) for the premium section, but with the announcement of an iPhone event this Tuesday it is possible we will get a sneak peak at the new feature at the event. Rumor: iPhone to Get a Premium App Store | Gadget Lab from Wired.com. Is it possible that the iPod Shuffle became buttonless specifically to convince 3rd party accessory manufacturers to build headphones and other accessories with in-line controllers? Of course 3rd party manufacturers have supported this feature since the original iPhone first debuted but up until now the feature has only existed in headphones, but clearly it would work in other places as well. A 3rd party manufacturer will have to come up with a solution that allows an iPod Shuffle owner to use his device in their car, why not put that little control in the cable of a cassette tape adapter, or maybe even just a regular 3.5mm headphone cable that would plug one end into your iPod Shuffle and the other into the head unit of your car? Not only would this benefit iPod Shuffle owners but nearly everyone who owns an iPod from the most recent generation or any iPhone. The buttonless iPod Shuffle may seem silly to a lot of you but this might have been that little extra push that Apple needed to give 3rd party manufacturers to convince them to make more accessories supporting this wonderful new feature.